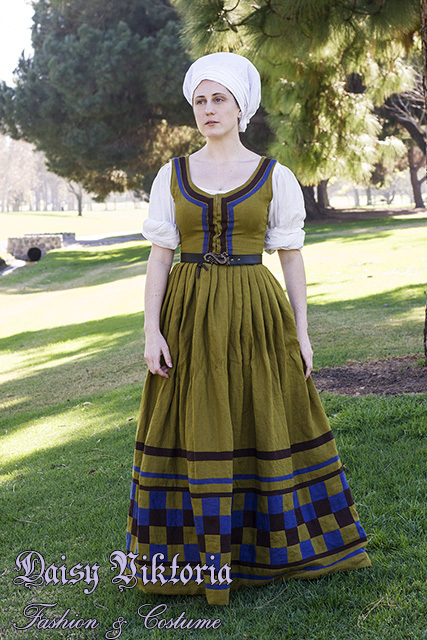 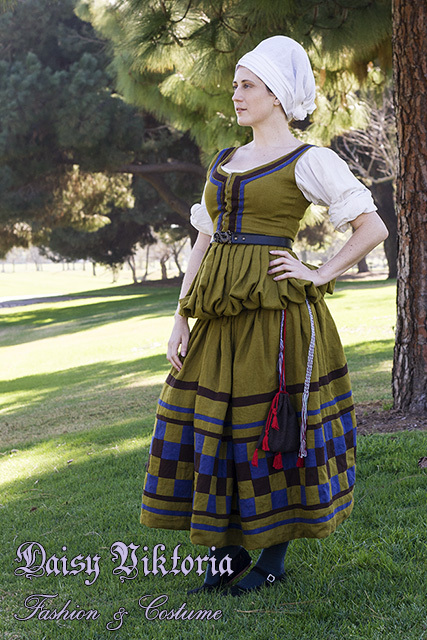 This dress is based on an image of a 16th century German working class woman wearing a dress with the same checkerboard design. 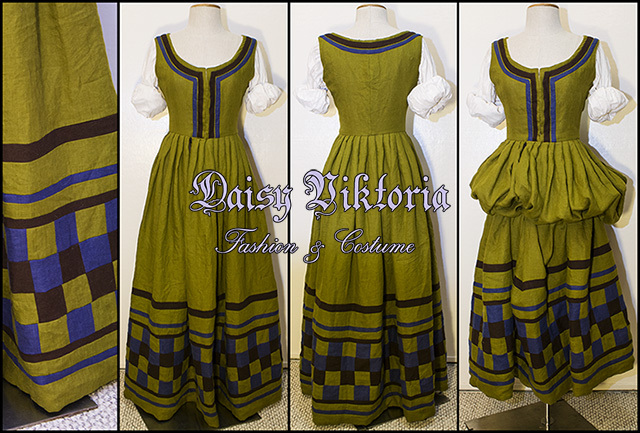 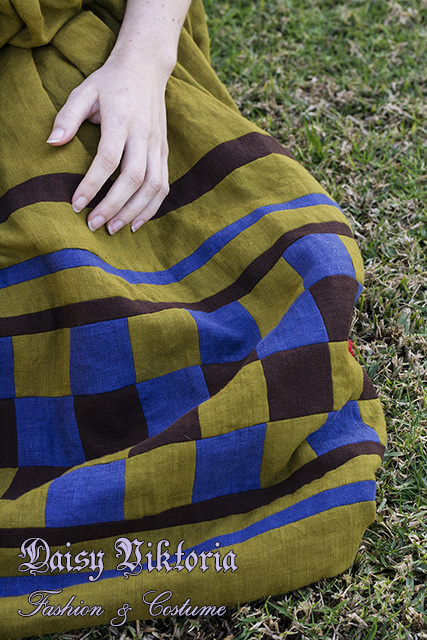 The dress is made of linen with contrasting colors as trim and a checkerboard on the skirt. 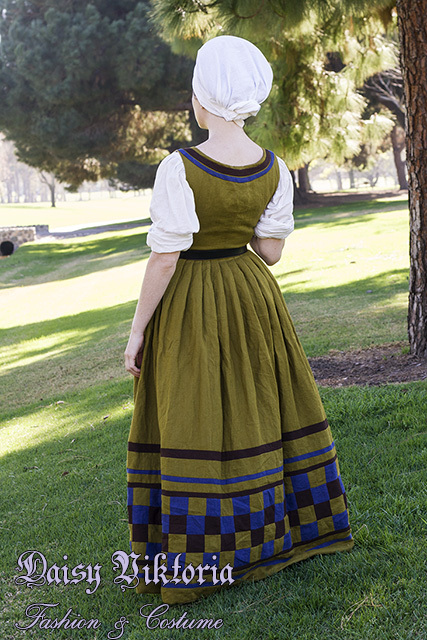 The hat is a wulsthaube worn with a pleated veil.